The retail giant says it will invest $10 million in the Closed Loop Fund, a business-backed effort to increase recycling rates by funding civic and corporate waste management efforts. Amazon says it is investing $10 million in a corporate-backed fund working to increase recycling rates in the United States. The recipient of the cash is the Closed Loop Fund, a 4-year-old venture that offers low-cost loans to municipalities and companies working on recycling projects. Other backers include Walmart, PepsiCo and Coca-Cola, and consumer-products giant Procter & Gamble — companies with a business interest in diverting valuable, reusable raw materials away from landfills and back into their own supply chains. Amazon, a driver of the online retail revolution that introduced plenty of cardboard into peoples’ homes, is no different. The company has been working for years with manufacturers to transform packaging traditionally designed for bulk shipments to retailers into containers optimized for single unit storage in and shipment from Amazon’s warehouses. 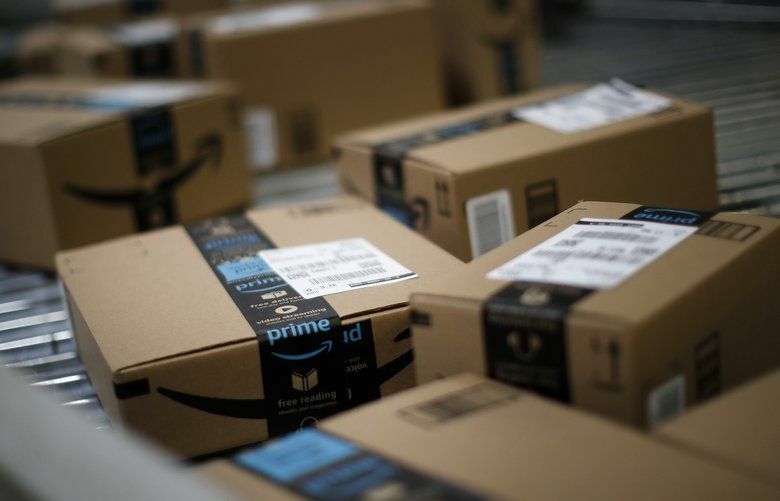 That cuts the cost to Amazon of unpacking inbound shipments, and reduces the amount of packaging the company needs to dedicate to keep items from breaking during the journey to customers’ doorsteps. Amazon says its efforts have eliminated the need for 244,000 tons of packaging materials during the last 10 years. Amazon’s investment in the Closed Loop Fund, the company says, will increase availability of curbside recycling for 3 million homes, diverting about 1 million tons of recyclable material from landfills into recycling over the next decade. Amazon’s contribution essentially amounts to a loan. Amazon will pay $2 million into the fund each year through 2022, and have its contribution repaid over five years beginning in 2023. “It’s a really exciting model because it’s a lot of what’s needed to invest and make recycling viable for municipalities,” Amazon sustainability chief Kara Hurst said in an interview. “We liked the structure of this, the fact that they have a track record and put capital to work already,” she said. The fund so far has committed $71 million to six municipalities, 10 private companies and one nonprofit, Amazon said. For companies like Amazon, the benefit of participating in the fund isn’t the modest interest they get on their loans, said Ron Gonen, Closed Loop’s founder, who earlier in his career oversaw New York City’s recycling program. Closed Loop, which also operates venture capital and private equity units, is working with Starbucks and McDonald’s on a redesigned coffee cup.